REME-Coins give access to the billions big companies make by selling collected user data: E-commerce combined with cashback systems is one of the most dynamic growth segments in the digital market. The bonus models are not only a proven instrument for customer loyalty, but also generate comprehensive and high-quality consumer data. In the information age, data is the “gold of the 21st century”. Therefore, e-commerce platforms and cashback companies tend to look at the obtained consumers’ insights as their property and use them primarily for their own marketing benefit, without consumers (as the data producers) taking part in the marketing revenues. 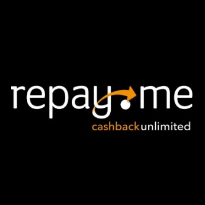 repay.me is determined to change that by redistributing daily 80 percent of its advertising revenues to its users as cashback. These daily cashback payments continue until up to 100 percent of your online and offline purchases are fully paid back. With REME-Coins you profit from all of these advantages – simply by paying with it. The 2nd stage of the Bounty program starts on the 16 July 2018 and ends on the 31 December 2018. 3. A total of 1 350 000 of REME Tokens will be allocated to the Bounty Pool for eligible Bounty Participants. 4. As a reward for the Bounty activities, you receive REME tokens. Results will be declared 3 weeks after the close of the Bounty via the Bounty tracking spreadsheet and tokens distributed as per the REME token issue roadmap. The tokens are allocated to your wallet within one month of the REME tokens becoming available. 5. Facebook and Twitter bounties will be counted after the end of the campaign. No intermediate total will be displayed. 8. Bounty telegram channel: https://t.me/remebounty. For technical support during the Bounty campaign, please contact us on contact@remecoin.io. Join our Signature and avatar Campaign to help spread the word about REME-Coin on Bitcointalk. You will be rewarded with REME-Coin tokens for your contribution. Payment: 25% of Total Bounty Pool Will be devoted to Bitcointalk Campaign Participants. 4. Posts in off-topic, games and rounds, micro earnings and politics and society will not be counted. 5. Report posts in other bounty campaigns will not be counted. 6. Every participant must wear the avatar (except for members as they can’t). 7. Alternate accounts are not allowed and will lead to a ban on participation in our campaign. 8. Multiple accounts are not allowed and users found using more than one account will be disqualified. 9. You must not remove REME-Coin signature and avatar during entire period of campaign and until allowed to do so by campaign manager. 10. Spam and Trolling is strictly not allowed. 2. You must retweet and like all tweets by @repay_me (minimum 5 every week). 3. You must tweet at least 1 of your original tweet about REME-Coin and use hashtags #REMECoin #TokenSale in it. 10% of total Bounty pool is reserved for for Facebook bounty. 3. Participant profile must be public. 20% of total Bounty pool is reserved for Youtube bounty. 1. Content about REME-Coin should be a minimum of 2 mins. 3. Approval Rights are reserved with REME-Coin team. 4 You must have at least 100 subscribers on youtube. 5 Videos that do not have human voice over will only receive 50% of the total bounty. 15% of total Bounty pool is reserved for Medium bounty. Earn Tokens as a Reward for joining the REME-Coin Telegram Group https://t.me/remecoingroup so you can always find out the latest announcements and developments. 1. Please do not mention airdrop/bounty on Telegram chat. Only discuss the project/ico details.